Jeeps are great for both road driving and cruises on the pavement. There are lots of different aftermarket parts that are focused on providing good handling and control of the vehicles. But not all parts are recommended for motorists who drive in a combination of both rough and smooth terrain conditions. If you count yourself as such a driver, then a lunchbox locker could be one of the best parts you’ll ever purchase for your Jeep. They are locking differentials, gears that fit into the front and rear open carriers on Trucks, and other heavy-duty light vehicles and trucks. They are small, lightweight, and increase the level of traction when navigating any road condition. The four lunchbox lockers reviewed below can be equipped with different axle models, each with its own individual set of advantages. The Buyer’s Guide follows and provides more specific information that you’ll need to know before checking out. The Comparison Chart below lists the basic characteristics of each lunchbox locker reviewed in the lists further down. If you would like to know more about whether or not the brand will fit your vehicle, check with the links provided in each review. The first model, built for Dana 30 models, is made by the company Sylvan, a top choice among locking differentials. 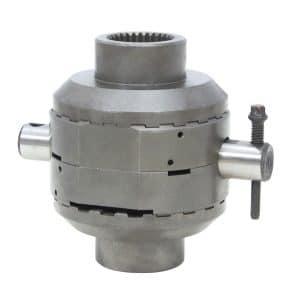 If traction is what you’re going after (and it’s likely the reason for you getting a differential in the first place), know that its construction and quality are one of the best out of all the other products shown. Of course, not everyone can fit a Dana 30, so don’t worry if you’re unable to. More products are shown further down. But as for the Sylvan, your Jeep’s control will be fully at your hands, both on the road and off. It’s a great piece for those who spend lots of time in wet environments, and don`t dry out and require frequent lubrication either. You can even have it put together at home without much trouble. While it can get pretty loud when making turns, it’s not to a degree that would seem odd. 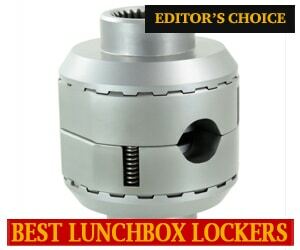 In the end, the Sylvan for Dana 30 models remains on top for lunchbox locker recommendations. This Dana 35 model locker, sold by the company Powertrax, includes pins and is made from high-quality steel. The product’s description labels it as Zytanium but doesn’t necessarily equate to something that’s one-of-a-kind. It’s a hardened steel, which is manufactured well and won’t wear out quickly. Center pins are included with the product itself, so you won’t have to go out and purchase anything extra. You can also put on stock center pins as well, of which are well-matched to the device. Its mechanics allow for the locker to be unlocked before cornering, so the chances of you locking up at the wrong time are slim to none. You’ll find yourself taking on the road with better confidence and control than what was possible with your old differentials, regardless of whether you install it in the front or rear. Just be prepared to hear some noise, which can be a little annoying. If you’re not accustomed to lunchbox lockers, turning corners will make the gear pop, something that could sound a little off-putting when encountering the sound for the first time. This is perfectly normal though, and won’t cause any damages to occur to the device itself. Most differentials under this category, including limited slip, will have the same attributes. If you want a lunchbox locker that will keep your wheels better situated on the road for better control, feature good quality construction that isn’t faulty or likely to break early in its warranty, then this Dana 35 model by Powertrax could be perfect for your Jeep. You should be able to have it fitted in three hours or less, so doing it from the comfort of your home shouldn’t be too much of a burden. You may not even need to look at a guide if you’re going the solo route though; just a quick run-down on a tutorial could be all that’s needed to memorize its easy installation. 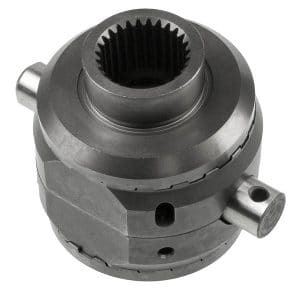 This Dana 44 locker by USA Standard Gear is known as the Spartan, having solid performance and the ability to give great traction and control to the driver. The best thing about it is how it keeps the noise level down, something that one doesn’t come across with lunchbox lockers very often. While you will hear it when going through your turns, the ratcheting is minimized, allowing you to focus on the road instead of what’s going on in your Jeep. It’s perfect for cold weather too, and the wheels will remain in good contact with the pavement. As for installation, three or four hours should be all that you need, less than that for people with experience working on Jeeps. Two-wheel drive is great here, especially when installing on front wheels. 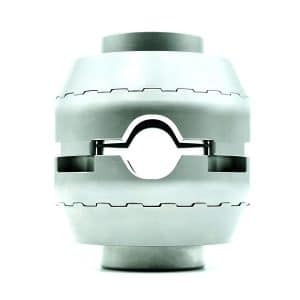 It can also greatly lower the risk of the product locking up when your cutting through turns. While you should still try to avoid going too fast, the chances that your Jeep will come to a complete halt are much smaller than many other lunchbox lockers. You may also encounter shavings in the oil, particularly when first acquiring the locker. Don’t panic though, it’s a normal thing that doesn’t cause any damage to the axle in any way. Overall, the USA Standard Gear Spartan Locker is a great buy and will definitely help you maintain good command of your Jeep when off the beaten path or going down paved roads. The Torq Locker for Dana 60 axles is a great looking locker requires no spacers and pins for placing it on a Jeep. You also won’t need to adjust any cables or rely on compressors. Just the look alone reveals that installation is minimal, requiring no annoying issues and smaller instruments to get the locker up and running on your vehicle. You will find that your steering and turning remains almost normal, whereby it feels at times as if you’re not using a lunchbox locker. This is a good thing though, and not a description of the traction, which is great. It’s a proper buy for those who spend their time on dirty roads and occasionally travel on smooth surfaces. You’ll find yourself cruising through the road and handling the steering at an improved rate to the point where you may not even notice the noise it produces. Regardless, you should still be prepared to deal with the ratcheting. You may also need to break out the differential fluid quite often with this one to keep the gears properly lubricated. If you don’t mind these issues, then the Torq is great for anyone that wants a lunchbox locker that isn’t a pain to deal with when it’s time for it to go on your vehicle. Most Lunchbox Lockers may appear to look the same, but can perform quite differently depending on the quality and brand that is purchased. There are issues and advantages that most good models have in common. 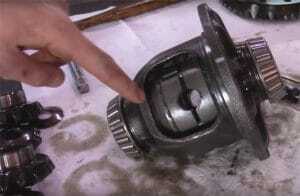 Like any aftermarket vehicle product, you should always do your homework before checking out. That way you’ll avoid annoying returns that could delay any plans lined up prior to the time in which the product will arrive at your door. The guide below will help you zero in on the right lockers for your Jeep and style of driving. If you’re unfamiliar with the different types of lunchbox lockers that are available for motorists, the products shown in the reviews fall under the category of automatic, as they allow engine power to transfer evenly on the wheels, no matter how uneven the traction between the tires is. They are a subcategory on their own too, since plates are embedded into their construction instead of gears. They will spin faster as the vehicle’s acceleration is increased and prevent any wheel from moving at a slower pace than the differential. This is especially beneficial to Jeeps as turning and off-road driving become much more stable and easier to navigate. Most lunchbox lockers consist of a combination of different metal and steel parts. Many also contain brass in the interior pieces. Oftentimes, you will come across brands that use odd names to market their steel quality. The lockers shown above all contain steel and should last longer than the time warranties void date. Compared to many automobile parts, the lockers are fairly easy to come by and don’t carry an expensive price tag. They aren’t perfect, however, and will need to be replaced over time, something that can be exacerbated depending on your style of driving. If you would like your lunchbox locker to last for a while, consider installing it in the front axle of your Jeep. Lunchbox lockers typically look about the same and are smaller than other differentials. They’re also much more rudimentary, being made from parts that are simple and require no broad knowledge in order to get onto your axles. Speaking on axles, you can place them on the front or back. 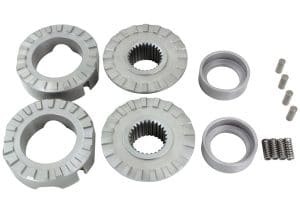 Their construction consists of left and right axle gears, spacers, and pins. One of these pins is shaped like an oval that prevents the gears from moving when accelerating at sharp turns. Pro Tip: Before you decide on which lunchbox locker you want, you must designate the right size for your Jeep by looking at the axle type, with Dana having different sizes based on a numerical value. 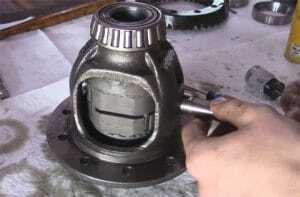 For example, The Dana 35 axle is placed on Jeep of a specific year and model. If you’re not sure what Dana type your rear front axles belong to, the easiest way is by simply looking at its shape and comparing it with a Dana that is identical. When you hear your lunchbox locker clicking, don’t panic, it’s a normal process that much happen for the differentials to perform as expected. A good differential fluid can be used to keep the locker properly lubricated, something that should be done even without a lunchbox locker. There are many different brands that you could try. The oils inside the axle will depreciate and evaporate over time, so look at your driver’s manual to find out when you should add more. Most lunchbox lockers should not require any alterations for this, so continued lubrication after a particular mileage mark should suffice. If you don’t have a manual, add more when your vehicle takes on between 25,000 to 30,000 miles more than the last time it was updated. Or you could do it when your changing into your new lunchbox locker. If you’ve never heard the noise emitted with lunchbox before, the best way to describe it is a ratchet sound that develops when going into turns and corners. Before you set off on the road with one installed in your Jeep, get into the habit of slowing down as you make your turns. Moving too quickly may cause the locker to lock up, which will abruptly stop the Jeep and risk causing a traffic accident. Avoid having the lock position itself into not moving by always navigating turns with ease. If you do this, you may also cut back on the amount of noise emitted, something that isn’t likely to occur if you’re only placing a locker on the front end up your Jeep. Installation can be done by either a professional or yourself. 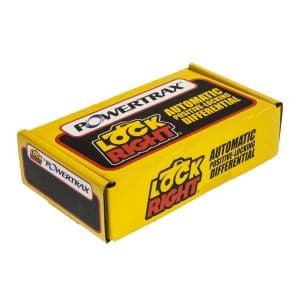 If you’re somewhat familiar with locking differentials, you should have no trouble getting a new lunchbox locker fitted on your Jeep in a relatively short period of time. 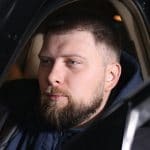 But if you’re afraid of installing incorrectly or simply don’t know the mechanics, don’t hesitate to have it finished by someone that can put it on properly. It should only take about 4 hours at minimum to place on though and is a lot easier to do than other differentials. Just open the center axle and add the spider gears and pins, making sure they are aligned well, then close the Dana. Once that is complete, try a few practice runs to see if everything turns and moves in the way that you expect it to, then enjoy it on and off the road. Lunchbox lockers are best for people who spend their driving time on both off-road terrain and asphalt. It’s not the go-to differential to use if you’re going on rough terrain more than pavement but retains the highest recommendation for those who have an alternative in between the two road conditions. They reduce the level of traction and provide better handling than the gears that come with most Jeep when they’re manufactured. But like all aftermarket parts, there is a chance that you may want an upgrade or change to a different brand. 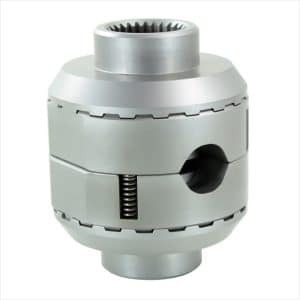 In this case, the part is easy to find and much simpler to handle and switch out than other axle pieces. For this reasons alone, it’s highly suggested for anyone that has experienced frustration with traction on their Jeep but hasn’t changed their differentials. Because of the different Dana models that are reviewed, it’s impossible to say which piece is the best lunchbox locker for you. They all win and have many exciting aspects in their features that will help you get back in control of your vehicle. If you take care of your differential and are ready to handle off-roading with better confidence, then the lunchbox locker that correlates to your front and rear axle will be the best one for you. And once it arrives at your front door, it’ll be only a short time before you have it up and run of your Jeep. For locking differentials and rear axle parts, it doesn’t get much easier than this. Derek Chase is a 28-year-old car enthusiast. Currently working at a major startup company. Experienced in electronics and security systems. Tears down, repair, and rebuild power systems, exhaust systems, suspension, sound systems etc. of own cars. Read More.